Modern consumers, especially Generation Z, don’t like to rely on support reps for assistance. They like independence and self-sufficiency. This has led to the rise of self-service, which has gone mainstream now. A whopping 88% of the respondents in a 2018 Microsoft Survey said they expect a brand or organization to offer an online self-service portal. Businesses now endeavor to provide help content to their customers. But for that, they need a place to store articles, guides, ebooks, their translations, and other helpful content. A well-managed knowledge base is the only solution then. Why Salesforce Knowledge over others? Salesforce Knowledge should be your first pick if Salesforce Service Cloud is your primary support operations tool. One aspect that makes Salesforce knowledge ideal for your website or online community is that users can find help articles easily. It offers multilingual support, URL rewriting for searching and managing content well, UI/UX Skinning for a clean, and brand compliant look. 1. Define Article Types: Before you publish a help article, you need to define at least one Article Type. This helps you categorize your articles in different ‘types’, e.g. “Product Introduction Articles,” or “Quick Tips Articles,” and so on. 2. Define Target Audience: You can further categorize the articles on the basis of the target audience – their job profiles, their experience level, and so on. For example, whether the article is for a data scientist or a marketing manager; for a beginner, intermediate or an expert. You can first manually define these categories and then check/uncheck them while publishing an article. 3. Draft, Publish, Archive: When you create an article, it’s saved as a draft version. To publish it on the KnowledgeBase, just hit the ‘Publish’ button on the Article Management Tab. While publishing, you can choose where you wish to publish it – on an internal app, with partners, with customers, or on the public KnowledgeBase. A published article can be archived by selecting the ‘Archive’ button on the Knowledge Management Tab. 4. Edit and Update: Salesforce Knowledge offers advanced editing options. You can make changes to a published article. When you edit an already published article, you can make a choice between – a) take the published version offline, save it as a draft, edit it and publish it, or b) keep it online while you edit the draft version and replace the online version when you publish the edited draft. 5. Like, Post, Share: After publishing an article, you can enable ‘Feed Tracking’ for the article type. Once Feed Tracking is enabled, you can do any Chatter activity, such as like, post, share, and so on the detail page of the article. 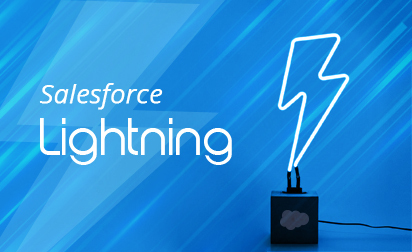 Seeking help to move your Salesforce Knowledge to Lightning from Classic experience? We’ve been there, done that. Download this Strategy Guide to know what and how we did. 6. Manage Permissions: You can manage permission levels for different users by enabling Article Actions. Create public groups, add required persons to those groups, and assign these groups to Article Actions to restrict their permissions. This way you can allow different users to manage article publishing and translation processes. 7. 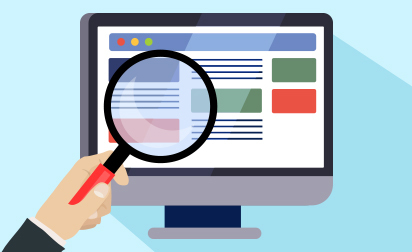 Integrate Search: Salesforce allows for a better user experience by adding various search filters such as language, employee, and company filters. You can even tag articles using “tagging” in a custom search. For example, an employer searching for a specific article can use the respective tags to search the relevant article. 8. Link Articles to Cases: You can use Knowledge One widget to search, create and send articles from a Case. Just plug Knowledge One widget into the Salesforce Console for service and attach a published article to a Case in one click, share an article as a URL, or email it as a PDF file. 9. Enable Feedback on Articles: You can allow users to rate and vote the articles using either of the two methods – thumbs up/thumbs down or stars (1 to 5). Articles move up and down based on the number of votes they receive. This helps determine articles’ usefulness and ensures that the most relevant and helpful articles show on top. 10. Enable Multilingual Functionality: KnowledgeBase provides users’ geo-location based redirecting to make it multilingual. You can translate articles into multiple languages and the KnowledgeBase will show them to users in their preferred language. These are the basics of Salesforce Knowledge management you can do on your own. There’s a lot more. That involves Knowledge base skinning, implementing federated search, and syncing Knowledge with Support Cloud. 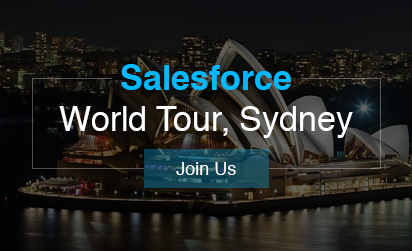 Looking for a partner to help you make a swift migration to Salesforce Knowlege base platform? Contact us.